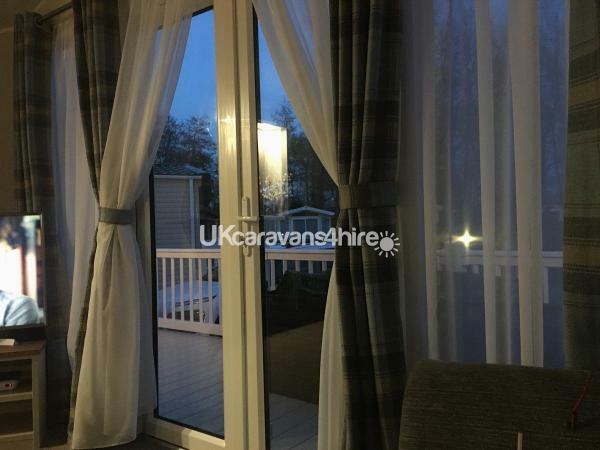 SOPHISTICATED WILLERBY SHERATON LODGE. IT GIVES A REAL FEELING OF ENTERING A BOUTIQUE COUNTRY HOUSE HOTEL WITH ITS CASHMERE COLOURING AND WALNUT ACCENTS. WITH TWO BEDROOMS, TWO SHOWER ROOMS AND A SPACIOUS KITCHEN AND DINING SPACE. Excellent phone signal and 3/4g inside! We pride ourselves on perfection with hygeine being priority but presentation also important. We clean it ourselves and maintain the van to a high standard, as its our holiday home as well as a place to give you a wonderful break. We provide mattress and pillow protectors that are washed regularly and beds are made up for you. This holiday home is open plan and spacious, wiith extra large kitchen and two shower rooms, plus almost everthing you will need for a comfortable home from home stay! 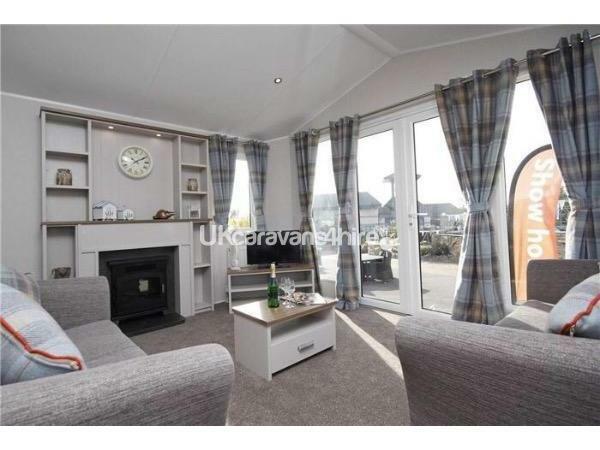 There is full central heating and double glazing throughout and Luxury carpets. The van also has integral spotlights for that ultra modern lodge type feel. This particular van is more insulated so better than ever!! We do not compare with Havens prices as what we offer is completely different due to our extras and location. SHORT BREAKS OFFERED, VERY FLEXIBLE £120 per night, £150 school summer holidays. The Lounge is spacious and looks out via double doors onto our large outside deck area. 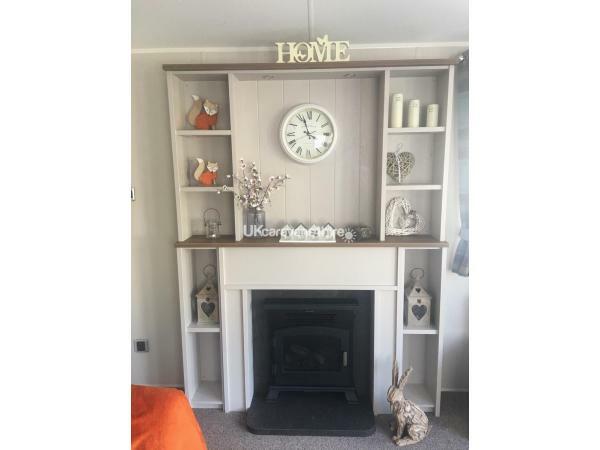 It has two large sofas (one sofa bed), new england style free standing furniture, log burner style furniture with a stunning surround, tv cabinet with large tv, dvd, sky+, luxury cushions and throws. The kitchen is a modern fully integrated kitchen with full size integrated fridge freezer, gas hob, extractor, gas oven, built in microwave, dishwasher and modern small appliances and a freestanding wall unit. There is a modern twisted leg dining table in the kitchen with four chairs. You will find full range of plates, glasses cups, cutlery, these are replaced at intervals as well as decent pots and pans. We try to keep everything high standard. We have ironing board and iron, vacuum cleaner, full range of washing up and cleaning products, tea, and coffee and sauces. An extra large bedroom with plenty of floor space, New england style dressing table with overhead lighting, king size bed with comfortable mattress with topper and protector, overhead lighting, large wall mounted TV surround and bedside tables (with plug sockets and usb socket), freestanding tallboy, and walk in wardrobe and ensuite double shower room!! 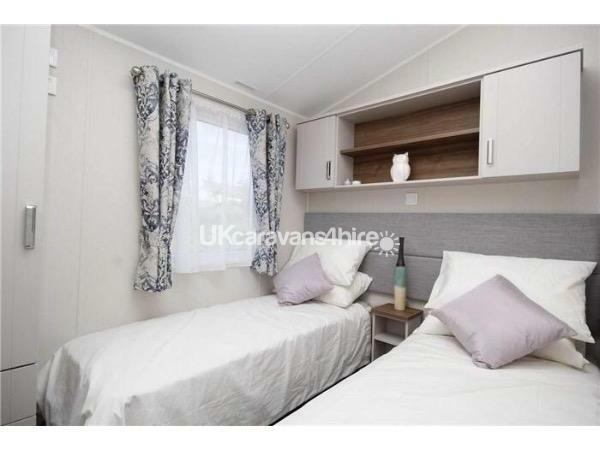 Two comfortable beds with topper and protectors, bedside caninet with 2x plug sockets and usb socket, wall mounted TV overbed lighting, and wardrobe. 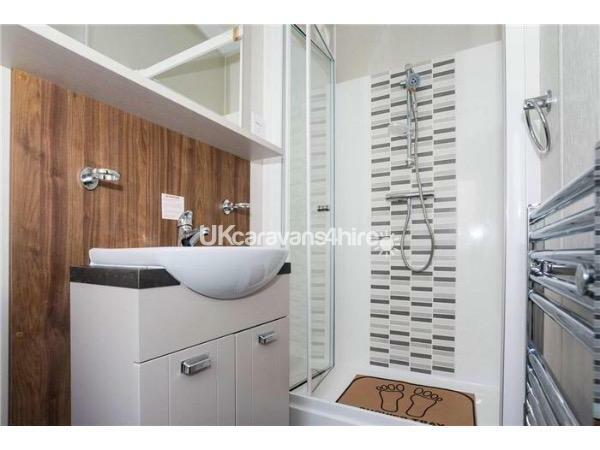 Double shower, basin and built in WC. We include handsoap, handtowel and shower mat. Shaver socket, overhead lighting, plus storage. Outside is accessed via double doors off the lounge and side door, where there is an extra large wrap around deck with gate access on side making it very safe for small Children. 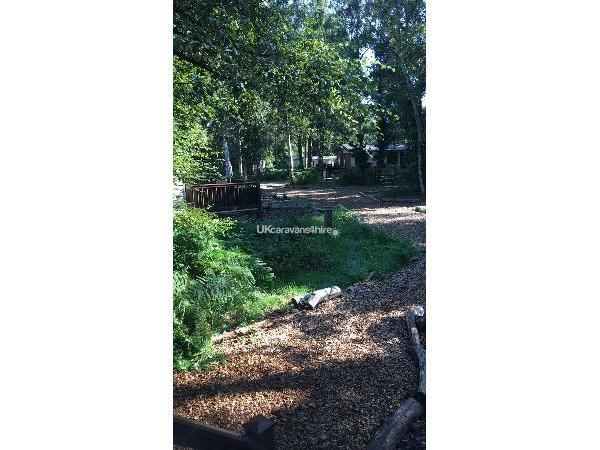 We have a large corner plot with a grassed area and a tarmac parking space in a quiet mainly privately owned cul de sac. 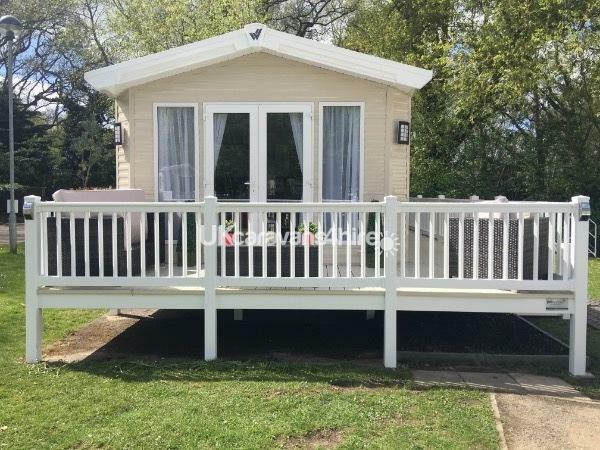 Situated between the popular Gorleston and Great Yarmouth tourist areas and norfolk broads. 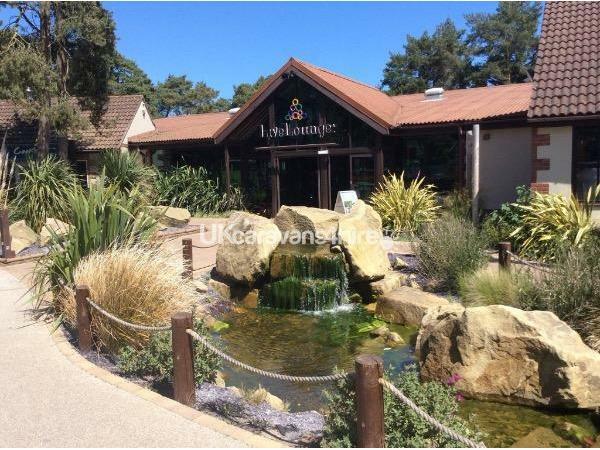 Wild Duck Holiday Village is one of the most exclusive and well kept Haven Parks in the area and offers a huge range of sports activities to keep you busy during the day and live entertainment day and night with many acts from the likes of Britain's Got Talent at various times during the season. 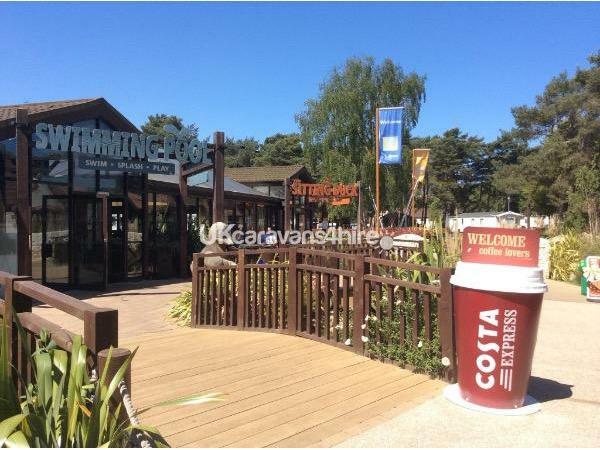 Added to this the fact that Haven Holidays have been nominated in 3 categories at the British Travel Awards - Best Family Holiday Company, Best Camping and Mobile Tour Operator and Best UK Holiday Park Operator you can rest assured that your holiday at Hopton Holiday Village will be fun filled and one to remember. You will want to keep coming back. Wild Duck is one of the only parks set more inland than the rest. A natural setting with lots of pine trees and winding forest trails. We even have special duck crossings around the park and our boundary fences have been designed to let other animals like hedgehogs and squirrels in. If you go down to the woods today you're sure of a relaxing time! Our park is hidden among the trees and lakes in a pretty forest. Its hard to believe we are only a few miles from the sea. You can hire a bike and Cycle along shady paths and spot butterflies, hedgehogs, deers, bunnies and (of course) wild ducks, Pit, pat, waddle, plop! 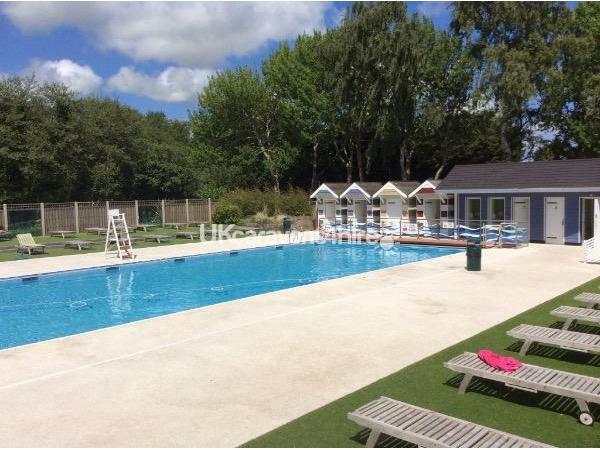 Check out Wild Duck Holiday Village online for more information about this lovely landscaped park. Minimum price is for a short break in March and October, Fri to Mon or Mon to Fri (excludes school holidays/bank holidays). Prices for other dates and holiday lengths on request. Please check the dates of interest are available before purchase to avoid double booking. See below re damage deposit. A 100 pounds damage deposit will be required, this will also be used to hold your dates then used for damage on arrival. Therefore, this is not included in holiday cost, but will be given back with a week after departure if no damage has occurred. The full holiday cost is due 6 weeks before your holiday (cancellation charges apply within this period). 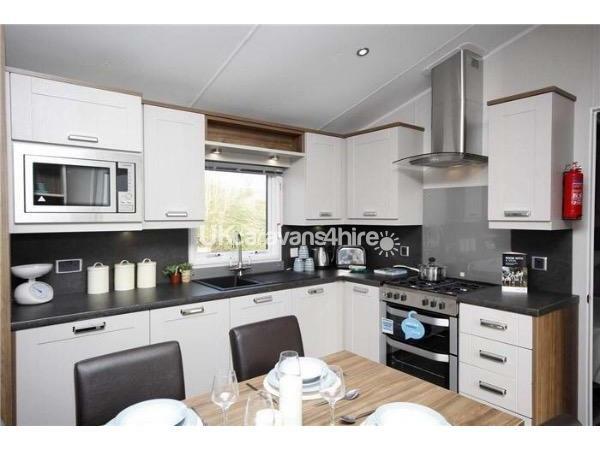 Are you thinking of buying a caravan at Any Haven Park? We can save you a £1000 no catch! That is all there is to it. No catches, No Gimmicks, The only condition is that you are recommended by an existing owner. If you are interested message me. You need to supply: Your Name, Your Address, Your Post Code, Your email address and Contact Phone Number. 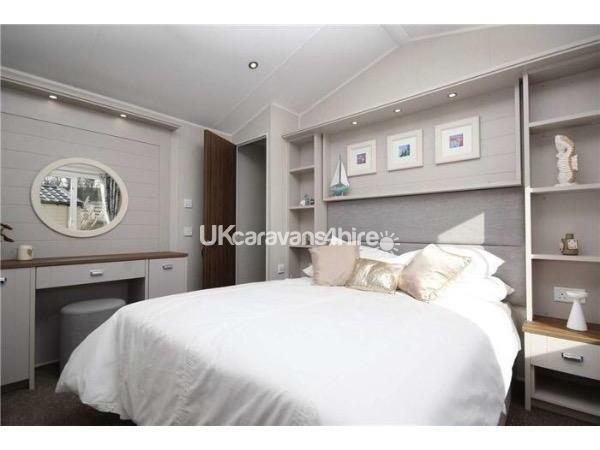 This caravan was out of this week,immaculately clean,very modern.beds/pillows so comfy,large showers.quiet peaceful spot on site.would recommend this caravan to everyone.would love to stay again. We had a wonderful long weekend here. Real home from home. Great shower & beds really comfy. The owners have thought of everything. Lovely peaceful location. Highly recommend staying here & hope to do so again in the future.